OAKVILLE, ON – September 23, 2014 – Every day, millions of Canadians are served by Tim Hortons team members who work to provide the ultimate guest experience in the communities they serve. As Tim Hortons faces a bold and challenging new era in the quick service restaurant (QSR) industry, the company is launching a new creative campaign to help find more than 5,000 individuals across Canada to join the organization’s dynamic restaurant team. The campaign includes in-restaurant, digital, and print advertising, as well as regional hiring initiatives including job fairs and restaurant hiring events. The official kick-off to the campaign took place today in Calgary, where Tim Hortons owners are looking to hire 280 individuals. As part of the launch, Tim Hortons surprised a local neighbourhood by transforming a residential home overnight into The Tims Next Door. Throughout the morning, neighbours enjoyed a cup of Canada’s Favourite Coffee and got to know their local team members, who had the opportunity to give back to their local guests and showcase that working at Tim Hortons is about more than serving coffee; it’s about serving the neighbourhood. According to a survey by Restaurants Canada, 65% of restaurant operators in Western Canada said labour shortages were having a negative impact on their business. With a workforce of approximately 100,000 team members in more than 3,630 restaurants across Canada, through its franchise owners, Tim Hortons is the country’s largest quick service employer. Tim Hortons is continuously enhancing its efforts to attract employees whose skills and positive energy will serve them well in the fast-paced, rewarding, inclusive restaurant environment. This week, Tim Hortons revised its team member dress code policy so that employees can now have visible, non-offensive tattoos. To learn more about current opportunities or to join the Tim Hortons team, visit WorkatTims.com. Or join the #TimsNextDoor conversation on Twitter (@TimHortons), Facebook (facebook.com/TimHortons) and Instagram (@TimHortons). 2014, Tim Hortons had 4,546 systemwide restaurants, including 3,630 in Canada, 866 in the United States and 50 in the Gulf Cooperation Council. 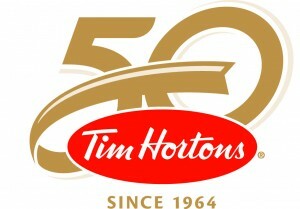 More information about the Company is available at www.timhortons.com.